If you saw them, you'd know that Kristy Gazes' stunning Jimmy Choo boots weren't made for walking. Some opine that they are responsible for keeping Gazes in her seat deep into the money. Somehow we think that skill may just have a little more to do with it. But either way, there's no denying that Kristy has been hot, hot, hot, this year. In well under three months, Kristy Gazes has added another five cashes to her tournament track record and another $300K to her bankroll. 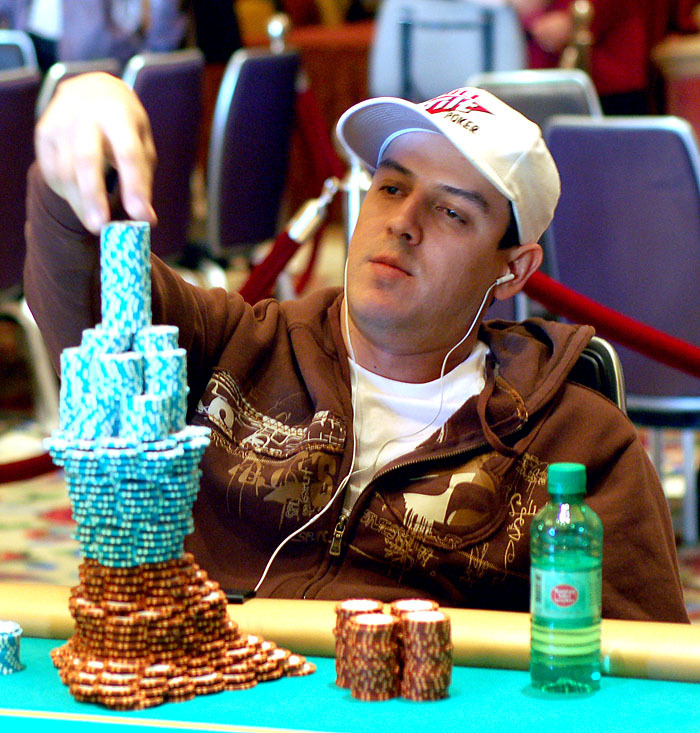 Specifically noteworthy was her 7th place finish in the Aussie Millions Championship - but also of interest has been Gazes' performance in heads-up play. 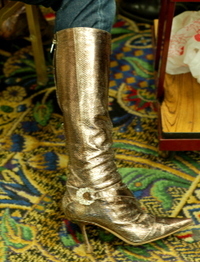 It seems playing Gazes heads-up may be as dangerous as going toe-to-toe with those stiletto boots. Gazes was a force at both the Poker NetCast and NBC Heads-Up Championships this year. Not only did she score two heads-up cashes, but she also won yet another pair of Jimmy Choos in a side bet with one of her heads-up opponents, Clonie Gowen. We are big Kristy fans and only hope that the remainder of the year yields her even more bankroll and Choos. Well it's been a great past few weeks for the gals. 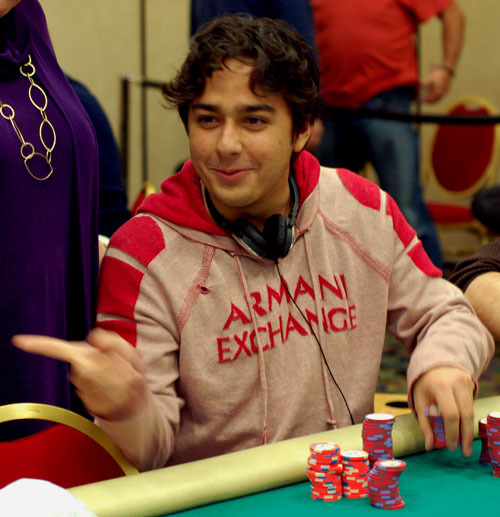 Author and poker player Victoria Coren took down first place at the EPT Main Event in London. Vanessa Rousso took down the $5K No Limit Hold'em Event at the Borgata Open earlier this month. 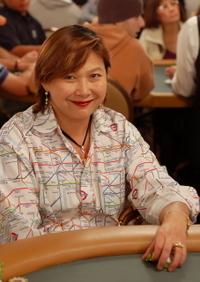 Mary Jones, 2006 WSOP Ladies champ won the $500 No Limit Hold'em event at the US Poker Championship. And Angel Word (pictured) won the $500 No Limit Hold'em Event at the WSOP Circuit tournament at the Grand Casino yesterday. I also noticed that there are still two women left in the Aruba Classic. 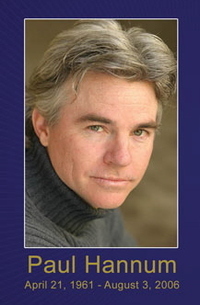 They have made the money and have about 30 players left. JJ Liu and Beverly Cheney are both still in the hunt. Good luck, gals. Well California continues to be the hotbed of women's poker. This weekend is the Ladies Event at the Bike, where players will be vying for the last seat at the final table for WPT Ladies Night IV. And next weekend the Commerce is pulling out all the stops for us gals. 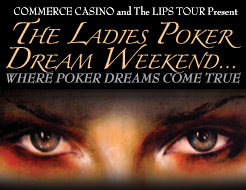 On August 26th and 27th, the Commerce, in conjunction with the LIPS Tour, is hosting The Ladies Poker Dream Weekend. Saturday kicks off with wine tasting, a buffet lunch, and of course...a poker tournament. Sunday includes yet another buffet, a seminar by Linda Johnson and Jan Fisher, and then another poker tournament to test your newly acquired skills. 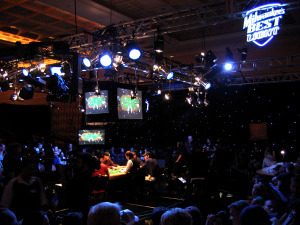 The tournaments will be affordable $125 and $225 buy-ins, respectively. And because this is a stop on the LIPS Tour, there is a seat into the LIPS Grand Championship up for grabs. 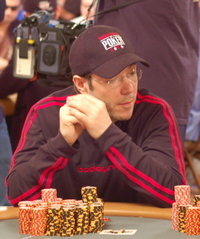 The eventual winner of the The LIPS Grand Championship will receive a seat into the 2007 Ladies WSOP event, the LIPS/WPT event and 5 entries into LIPS events throughout the next season.